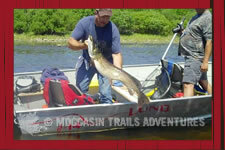 Moccasin Trails Adventures - Welcome! 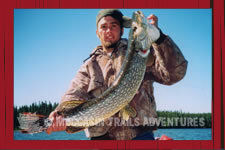 Welcome to Moccasin Trails Adventures, featuring some of the most incredible fly in fishing and hunting vacations available anywhere in Canada. Well, the answer is simple and we can even reduce it down to one single word – Ojibwe. We are the People of the Ojibwe First Nation and we have been hunting, fishing, trapping and gathering in our traditional territory for thousands of years. We know how it’s done. The Ojibwe First Nations compose the third largest group of the Anishnaabe speaking peoples of Canada. The majority of the Ojibwe (sometimes spelled, Ojibway) First Nations living in Ontario are in the north-central part of the province, from the shores of Lake Superior to the coast of Hudson Bay. If you want to catch fish, we’ll take you to “all the good spots,” as veteran guide, George Whitehead says. We don’t need to go out and buy a GPS unit. Those “funny looking things with lots of buttons” are part of our genetic make-up, passed down from our parents and community elders for generations. Simply put – we are regarded around the world as some of the most highly skilled woodsmen, period. 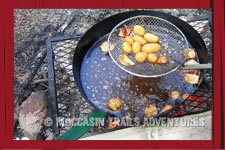 If you are planning a remote, wilderness fishing or hunting trip, you’ll want to be guided by the best. If you’re traversing through a set of rapids on the famous Albany River, there is no room for error. You must be able to rely on your guide to get you to where the fish are, and then get you back to camp safely… not soaking wet and with your fishing rod still lying on the bottom of the river! Speaking of safety, while you and your buddies are guests in our camp, your safety is, by far, our number one concern. The people who are very much at home while they are “out on the land” are the very people who you can trust and rely upon to keep you out of trouble. When you’re several hundred miles from the nearest hospital, there is no room for compromise. 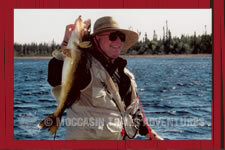 Catching more fish than you have ever caught before – well, that’s the easy part, but we’ll get to that later. Please browse through our new website… there is a lot of information for you to absorb. 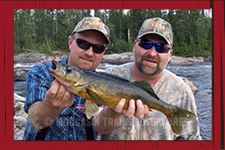 We are completely aware of the fact that there are plenty of choices for your Canadian fly in fishing or hunting vacation and we want you to know what getting for your hard earned money! We want to earn your business initially, and remain a friend for life. We welcome you into our traditional territory, into our culture and into our lives.